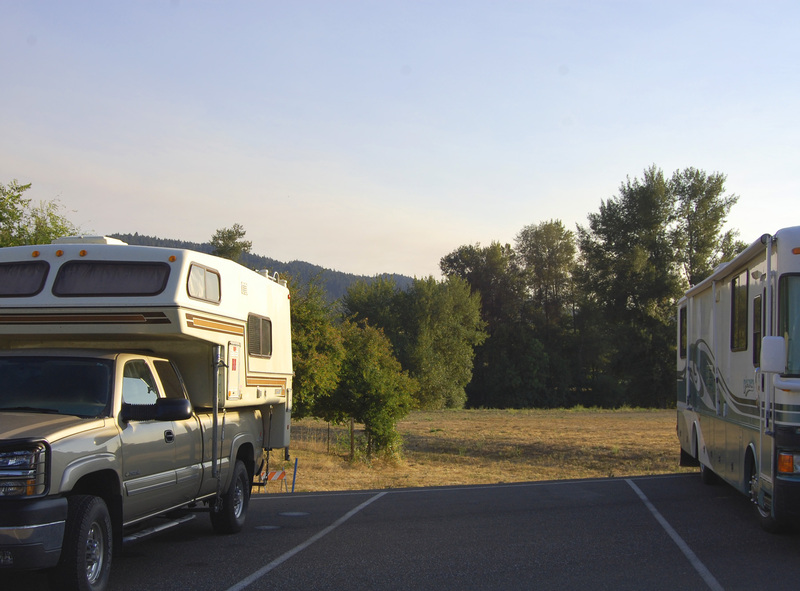 Heading down I-5, a favorite quick stop is in Canyonville OR, at the Seven Feathers Casino “Dry RV Lot”. Wakey wakey …. early morning in the dry lot. 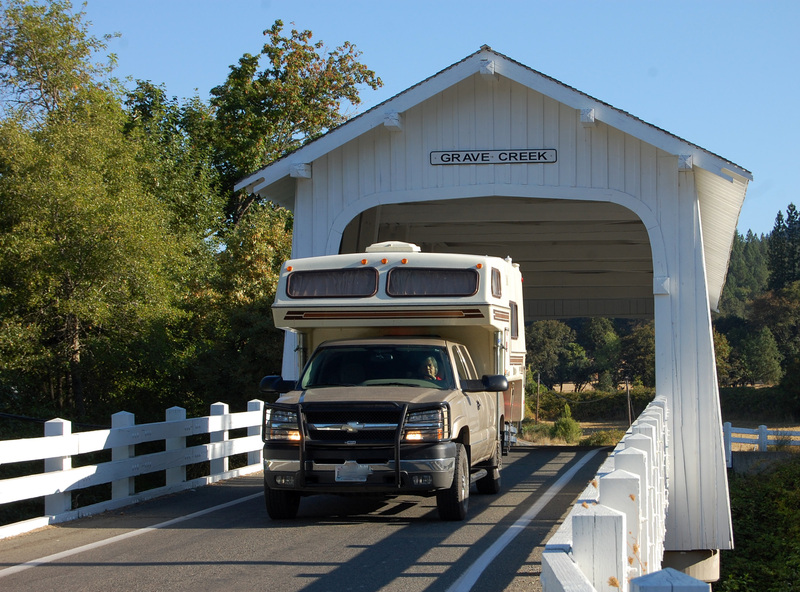 Not far down the road is Sunny Valley … with this wonderful covered bridge. Then we get to lunch in Merlin with the best friends a human being can have. Now, how about something sweet for the road trip? 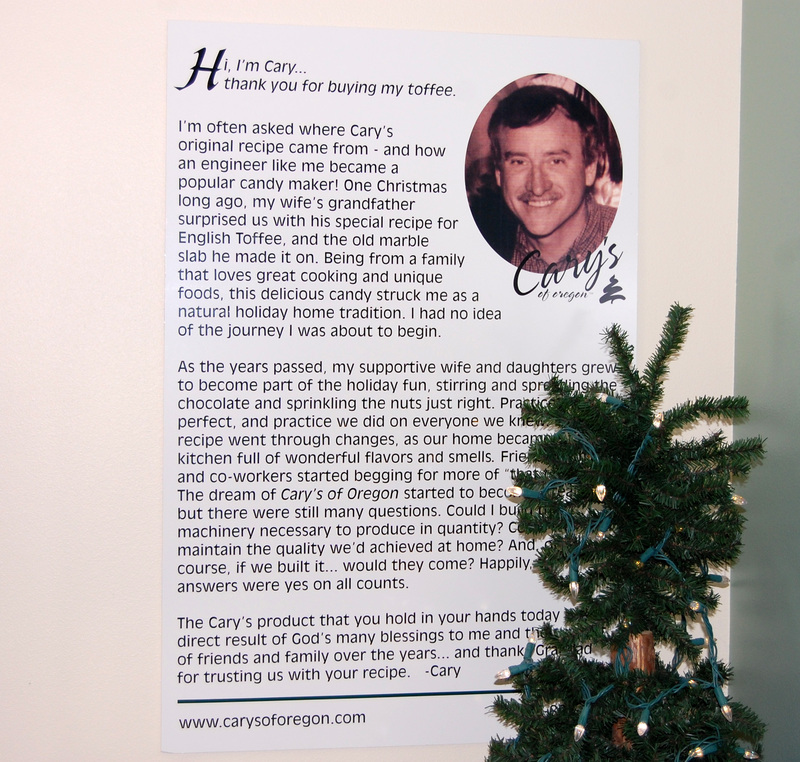 It’s time to visit Cary’s in Grants Pass for possibly the finest toffee creations in the world! DO NOT pass this by – this is a must stop if you are on I-5. 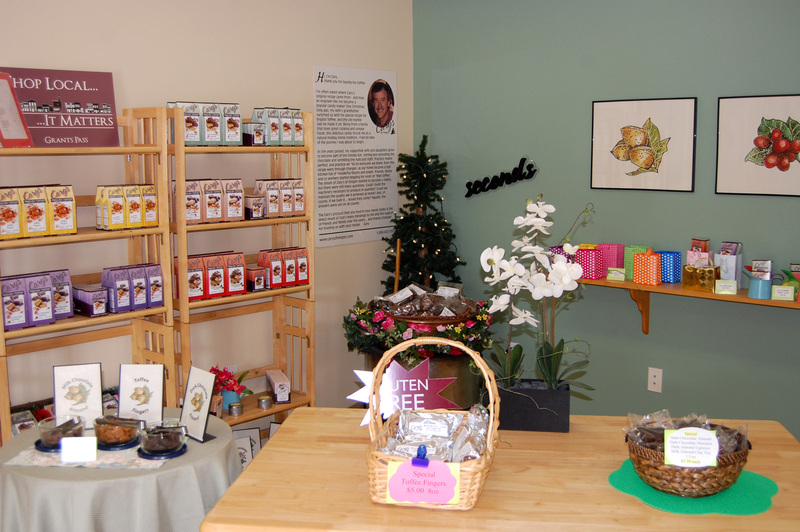 Artisan english toffee – yes! Chai toffee … milk chocolate and dark covered … with hazelnuts, almonds and more. Now with the ole sweet tooth satisfied, we journey on. 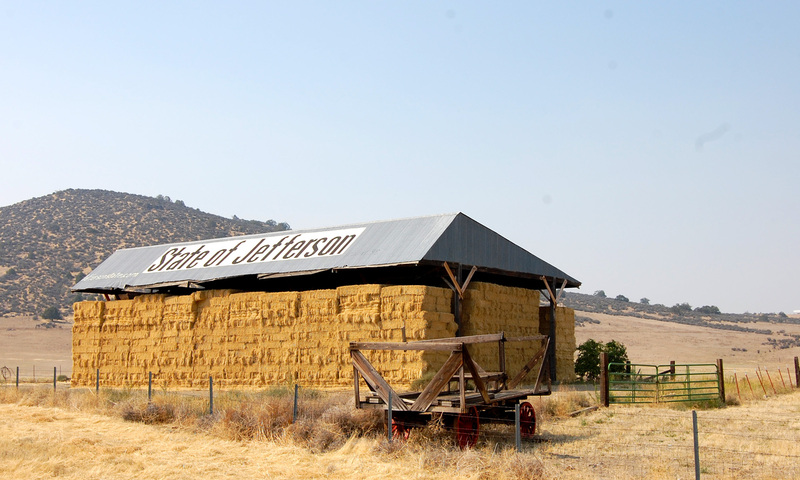 We are in the State of Jefferson! Haven’t heard of it? Read about their lack of political representation here. Yup … here’s a marker to the state! While we reflect on this in our “office with a view”, we thank God for the freedom of our TC. And … we head on down the road to one of those mega-cities. It took me a moment to get myself unconfused, as I kept wondering why I missed all these when I drove through eastern Oregon a few years ago. Turns out, I was thinking of Canyon City, OR, along the US 395 vs canyonville, which is along I-5. We’ll get to return to the Northwest via US 395 in a week or so … and that area has its own beauty. I wonder if they have a “State of Jefferson” signpost? Click here for photos we take as we travel ... through the great North American West. 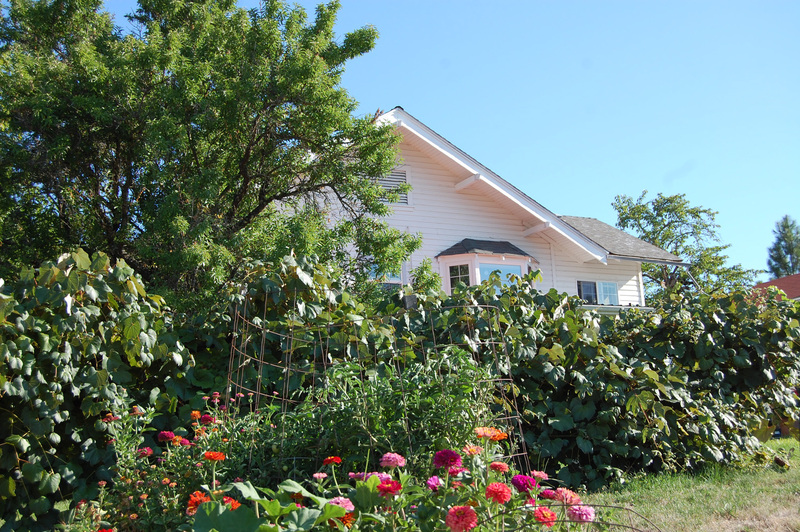 It's still true, that the uncrowded and simple life is available ... in the West. Click here for BlazingWest! The place where RV’ers start their trip! CarouselSystemsNorthwest, designing and developing software systems.